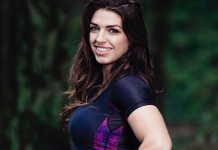 Yesterday, it was reported that BJJ star and rising MMA talent Mackenzie Dern had failed to make weight for the Abu Dhabi World Pro jiu jitsu championship, and that she had been scratched from the tournament bracket as a result. 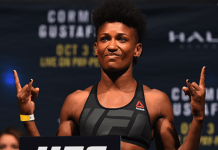 Dern was expected to face Belgian brown belt Amal Amjahid in the opening round. One day removed from the news of this weigh-in miss, Dern has now released a statement, clarifying that she did not miss weight for the event, but that she decided to remove her own name from the tournament because she was not feeling up to par. Dern made her statement on Instagram. While Dern is maintaining her innocence on this one, she has had issues with the scale in the past. She missed weight for her sophomore mixed martial arts bout, tipping the scales at 118.8 lbs rather than 115. She also missed weight for her third MMA bout, clocking in at 120. 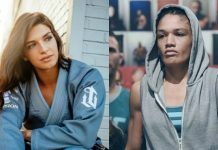 This tournament marked Dern’s opportunity to rebound from a surprise submission loss to the similarly talented Bia Mesquita at the IBJJF’s Rio Falls event back in March. The BJJ specialist is 3-0 in her first three bouts as a mixed martial artist. 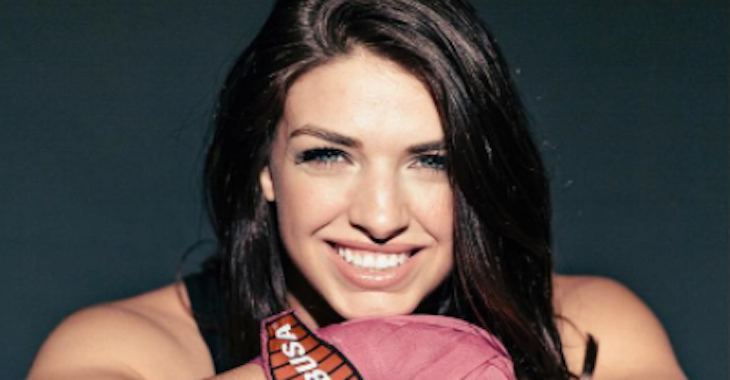 Do you want to see Mackenzie Dern in the UFC? Make your voice heard in the comments section, PENN Nation! This article first appeared on BJPenn.com on 4/22/2017.